In days of yore, Cliff and I loved attending the annual wine shows held in Johannesburg, but since our small people arrived my attendance has been limited. 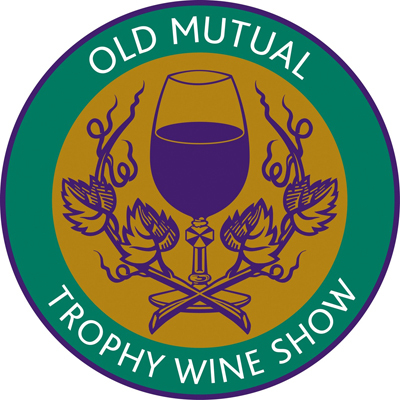 An extended visit by Cliff’s parents allowed us the opportunity to go to the Old Mutual Trophy Wine Show together last night. 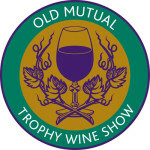 The merit / drawback of this show is that only award-winning wines are on offer for tasting. Ideally each should be savoured independently, at leisure. Cliff had a strategy for the evening; we started with the bubblies then chardonnays, pinotages, shirazs, cab savs, red blends and ended off with ports and sweet dessert wines. We shared each tasting glass to get more mileage out of the evening. During the day, inspired by watching the excellent modern Sherlock Holmes TV series, I had started reading the first Sherlock Holmes book, A Study in Scarlet (a delightful read). A character was described as being florid in complexion. As the evening wore on I may have noticed a slightly florid hue to Cliff’s countenance. Anyway I digress, let me tell you about the wines. 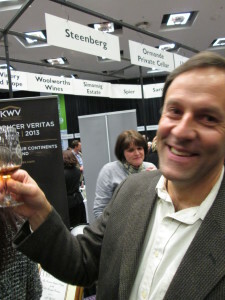 KWV opened a mere 2 bottles of vintage wine, a real treat which alone draws some of the visitors. 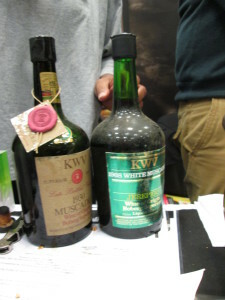 The first was a 1930 Muscadel and the second, a 1968 Jerepigo which shared my birth year. Ah a good year that was t’ be sure! 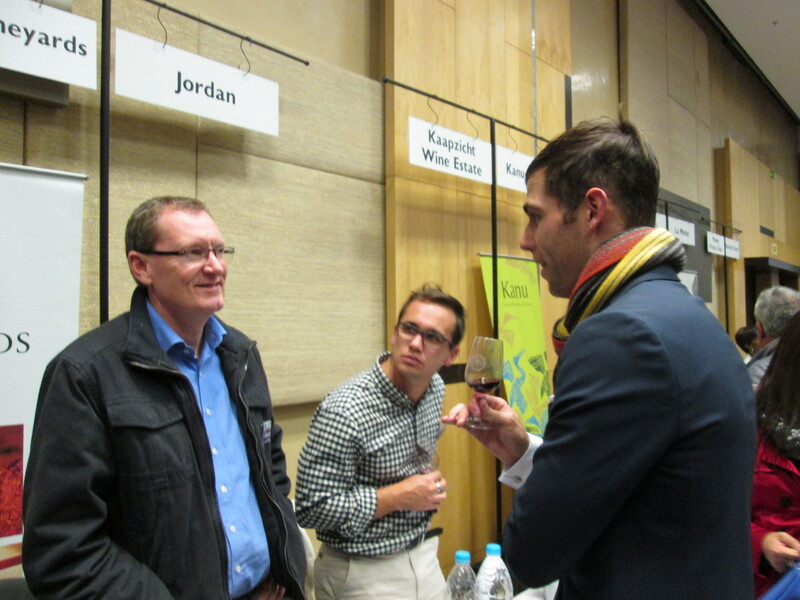 At a previous wine tasting I formed the opinion that Meerlust Rubicon is the most over-rated wine. I wished to test this assessment again and tasted the 2009 Rubicon. My view remained unaltered. Toward the end of the evening, I tasted it yet again, while my feeling toward it improved there remained many wines costing a great deal less which in my mind far outshine the Rubicon. A few wines stand out in memory. 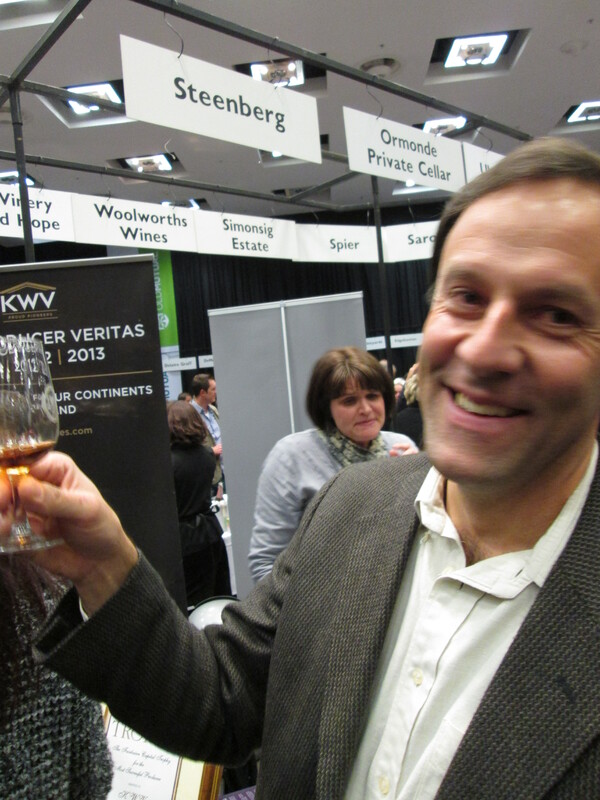 The Perdeberg Chardonnay Viognier was unusual and delicious. 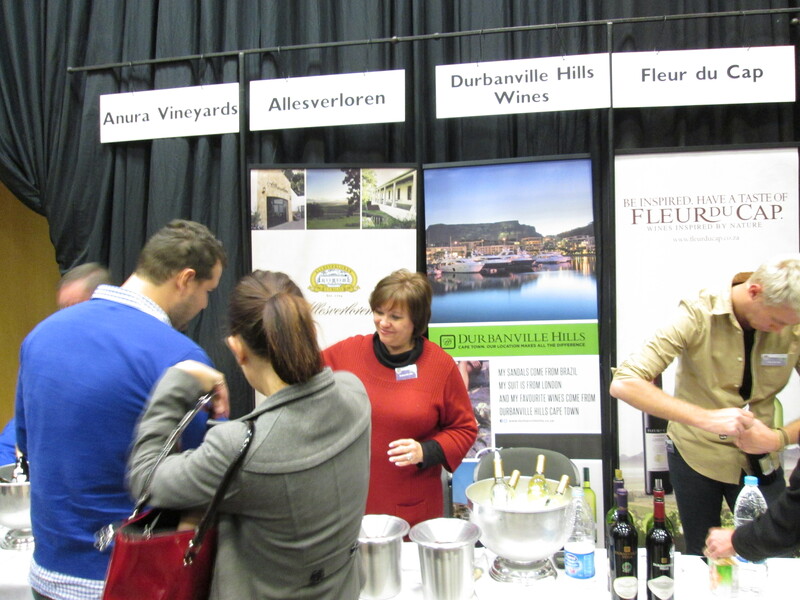 I loved the Durbanville Hills Rhinofields Pinotage. The 2012 Backsberg Pinotage was Cliff’s favourite Pinotage, while we both thought that the 2010 Nederburg Private Bin R172 Pinotage was amazing. The estate which stands out in my slightly fuzzy memory was Jakob’s Vineyards. I had never heard of the estate before and was delighted at the discovery. Their 2006 Cabernet Sauvignon which ranked in the top 10 museum class wines was simply heavenly. Andre, the owner of the estate was brimming with information about the estate and the unique climate which produces his special wines. By the time that we sampled the dessert wines my powers of discernment had suffered along the way and everything tasted yummy. Maybe they still would under more sober circumstances, since they are award-winning specimens. I may be compelled to re-taste a few in the future, purely in the interests of scientific deduction of course. 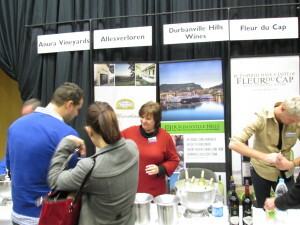 PS (note to self) When going to a wine show, wear comfy shoes – sore feet are a killer and detract from the experience.